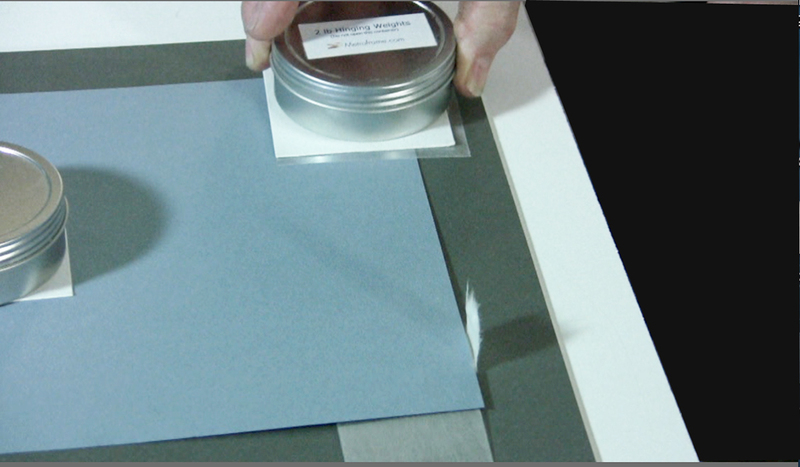 Learn how to attach v-hinges to fine art works on paper that use a "float" presentation. 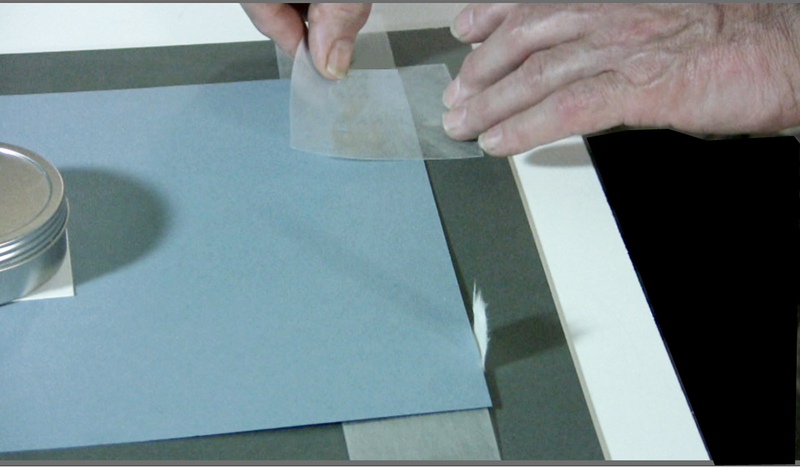 This is the time honored method used by conservators - wheat paste and Japanese papers. 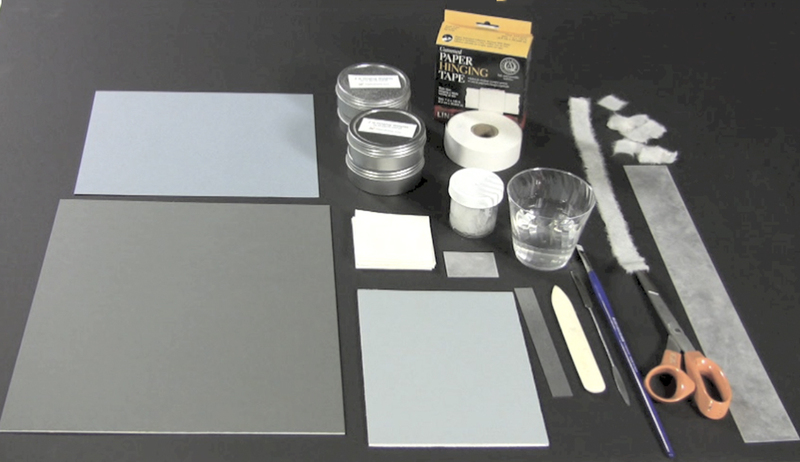 Assemble tools and supplies. 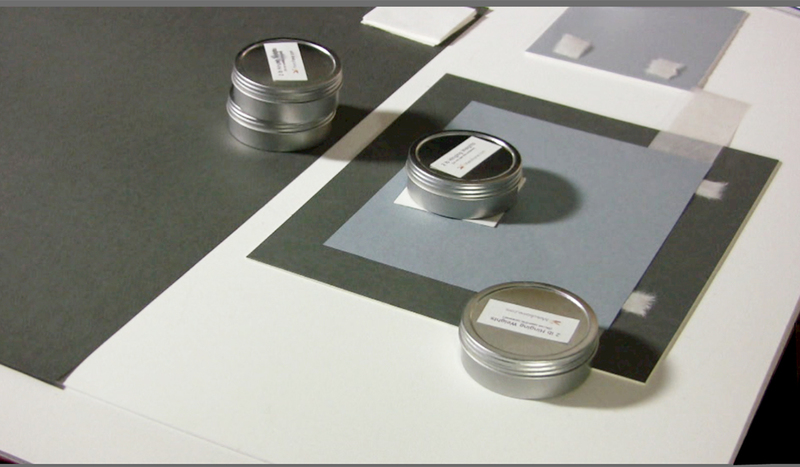 In addition to the artwork that has been hinged on the back, you will need the backing board that you are attaching the artwork, weights, wheat paste, a brush, hinging separators, blotters, a ruler, a mylar strip, and a micro spatula. Note: We are not using gloves but we do wash our hands thoroughly before starting. Place the artwork face up with the hinges closest to you. 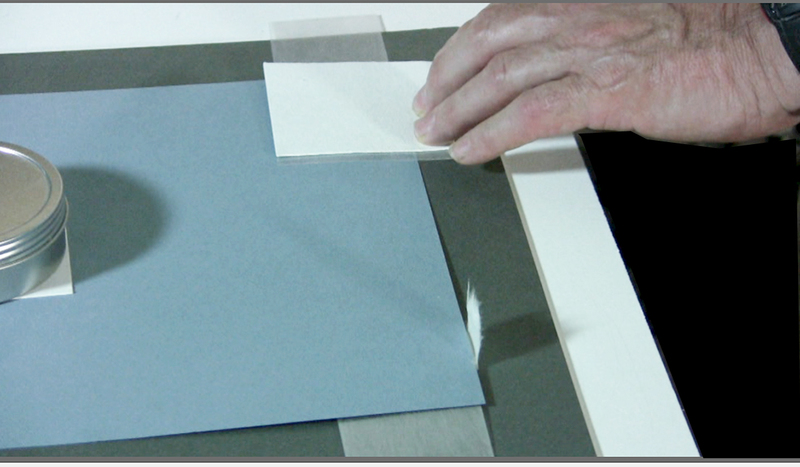 We have covered how to attach hinges to the artwork in another video. 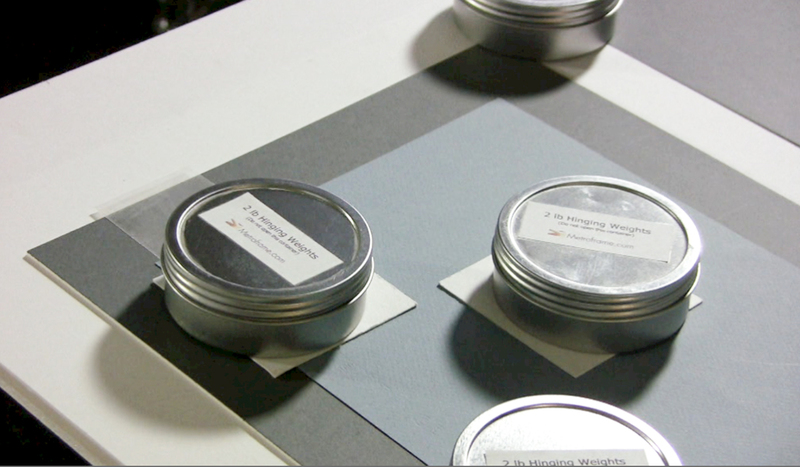 Click to see attaching japanese hinges to artwork. 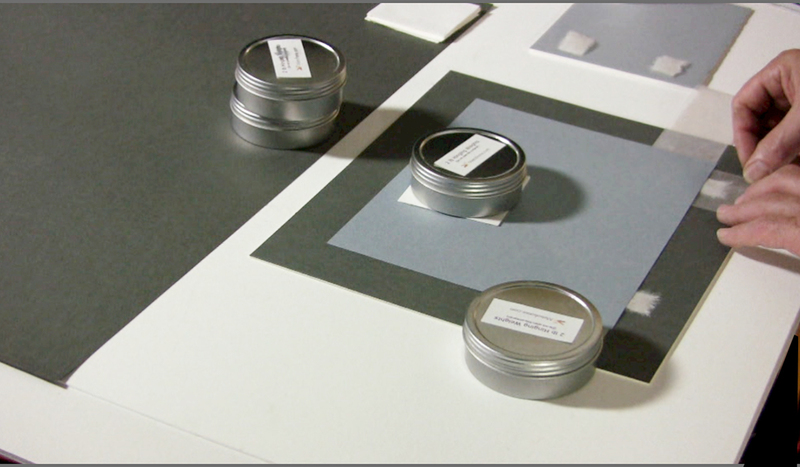 Place a strip of mylar behind the artwork and the hinges. Weight it down on the opposite side that you are going to attach the hinge so it does not move when you attach the hinge to the backing board. When working on the other hinge reverse the weight. Place a hinge separator underneath the hinge so you do not get any paste on the part of the backing board that will be visible. Place your finger in the middle of the hinges that you have already cut to the size you need. (Cross hinges should a minimum of be 1 1/2 times of the width of the hinge that is attached to the picture.) 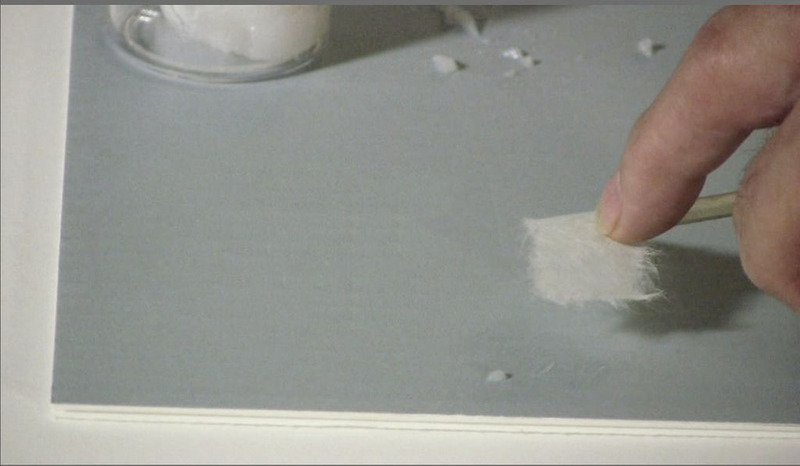 Use a brush and apply the wheat or methyl cellulose paste to both sides of the hinge. 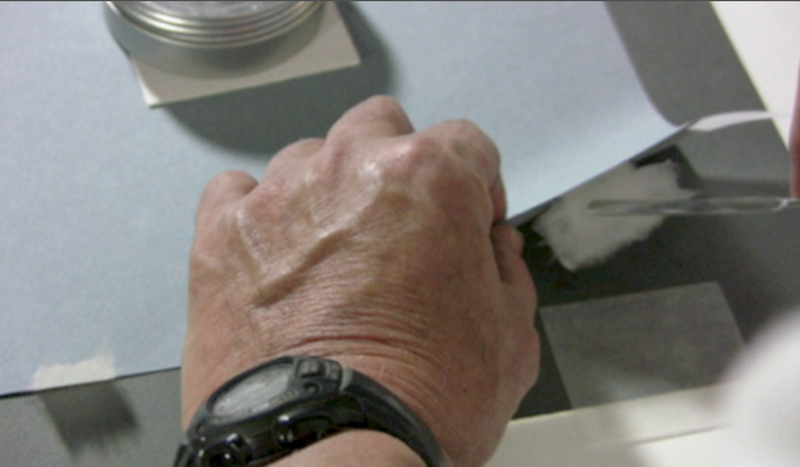 The area underneath your finger does not have paste so the hinge is easily handled when you move it into place. Editors note: Remember you always paste the same direction as the fibers on the japanese hinge. 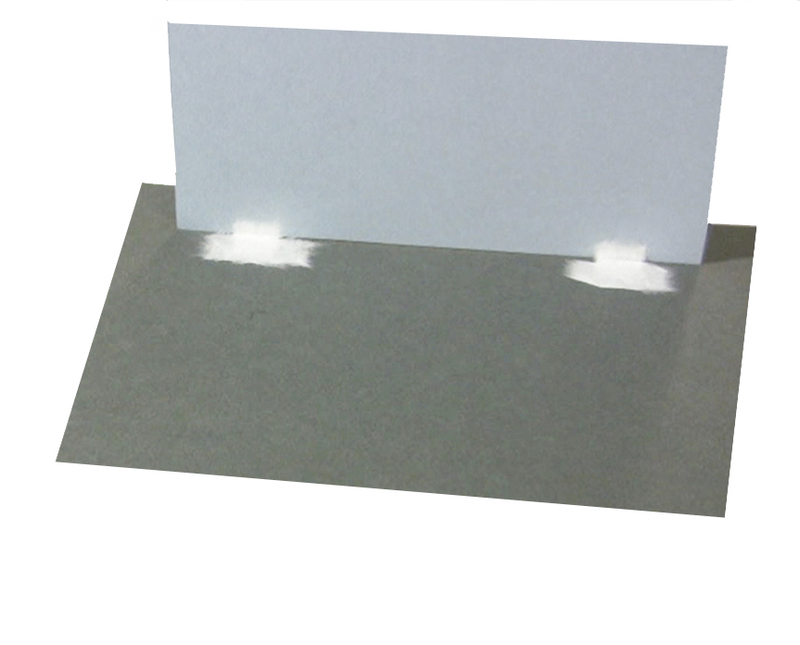 We recommend placing the hinge on a colored board to make it easier to see the paste that you are putting on the hinge. Slide a micro spatula under the area that has not been pasted and lift up the hinge. Place the hinge underneath the hinge that is already attached to the artwork with the glue side facing up. Use your finger or a dry brush to attach the hinges together. Lift up the artwork and the mylar (which is acting as a barrier to make sure that you do not get any wheat paste on the back of the artwork). 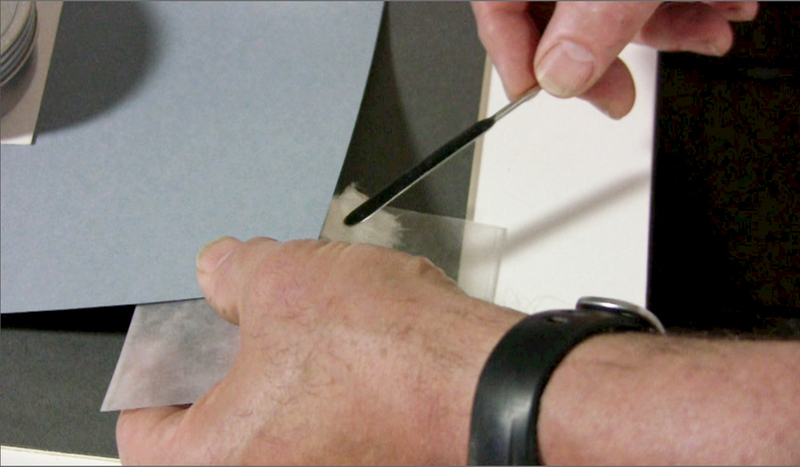 Now take the micro spatula and gently start lowering and turning the hinge until it is completely underneath the mylar and artwork. Now lower the artwork and gently attach the hinge to the backing board. 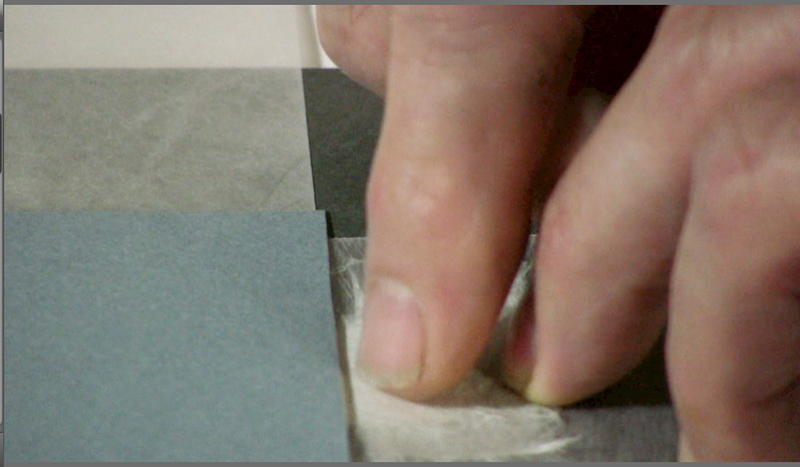 This method is used by many preparators because it allows “gravity to do the work” of placing the hinge on the backing board. Place hinge separator on top of the artwork. 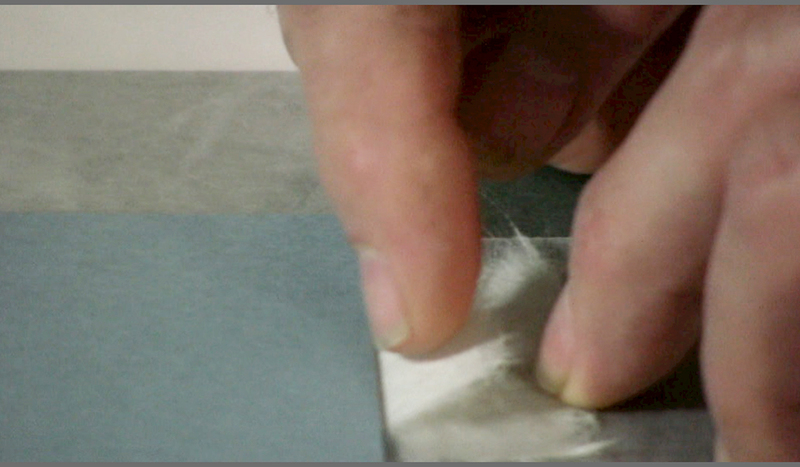 Lightly press down on the hinge to secure it to the backing board and make sure it lies flat. Place blotter on top of hinge separator. Place weight on top of blotter. Repeat the process on the other hinge. We recommend leaving the weight on for a minimum of an hour to ensure the hinges are secure. After removing the weights, blotter, hinge separator, and mylar, the hinges will look like this. 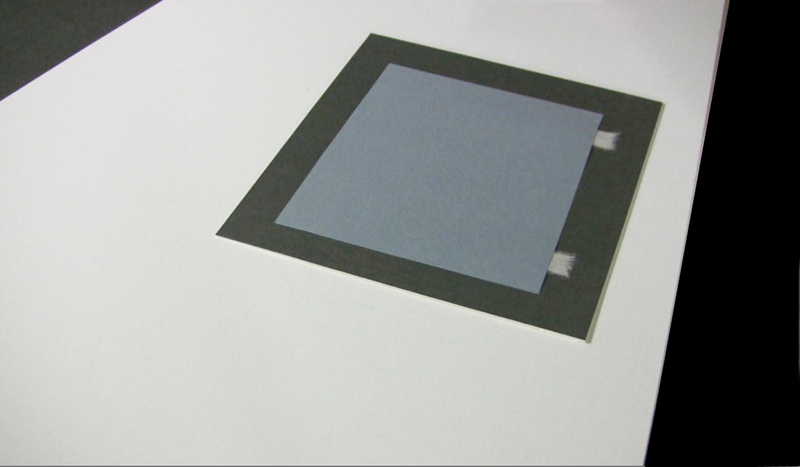 The same technique can be used with paper hinging tape. 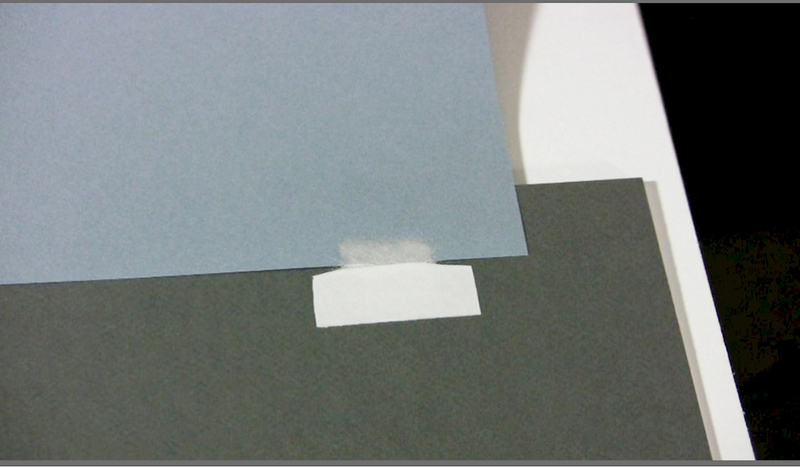 If using tape we recommend tapering the edges of the top of the cross hinge to ensure it isn’t visible. See video above for step by step instructions.